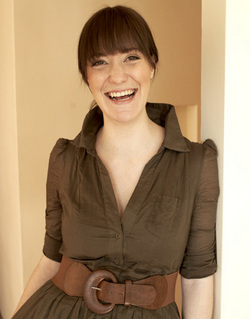 Dana-Marie's cover act is refreshing, playful, lively, creative, quirky, original and mysterious! She rocks the hearts of her listeners and captivates all within hearing distance with her soothing voice and inspiring, deeply genuine performance. 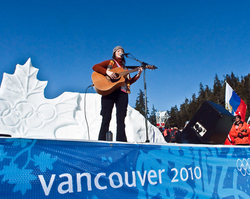 In February 2010 Dana-Marie made headlines by entertaining crowds of thousands at Whistler Olympic Park and performing foreign national anthems in multiple languages for Olympic Hockey teams. She was also invited to give intimate concerts for Olympic Athletes in their private village. For many years Dana-Marieâ��s vibrant stage personality gained increasing recognition as she graced the stages of organized Street Entertainment, Farmerâ��s Markets and Community Festivals throughout Whistler, Squamish and Vancouver. She has shared the bill with Juno Award winners and music veterans such as Barney Bentall, John Bottomley, The Paperboys and many more. In addition to her vast public performance experiences, she is also frequently contracted for private family and corporate functions. Her unique act caters to all ages and demographics by embracing many styles of music spanning several decades: Rock, Alternative, Oldies, Country, Folk and more. Her repertoire includes such variety as Johnny Cash, Bob Dylan, the Everly Brothers, Queen, Neil Young, Leonard Cohen, Patsy Cline, Bob Marley, Pink Floyd, U2, The Smashing Pumpkins, Alanis Morissette, The Cranberries, Jewel, Tracey Chapman, and more. Dana-Marie's cover act is perfect for your venue whether you need music front and centre or casually in the background. But be warned, even when providing soothing ambience to your event, sheâ��ll be turning heads and delightfully surprising guests with her unique and fresh approach to all music she covers. Itâ��s simply inevitable when you invite this true entertainer who has a passion for performance in her heart. With an extremely diverse repertoire of original music and covers ranging from popular oldies to 90's alternative, Dana-Marie can be of service for a large variety of events and venues. The following is a sample of her repertoire.